Monday to Friday 10am to 5pm, or by appointment. 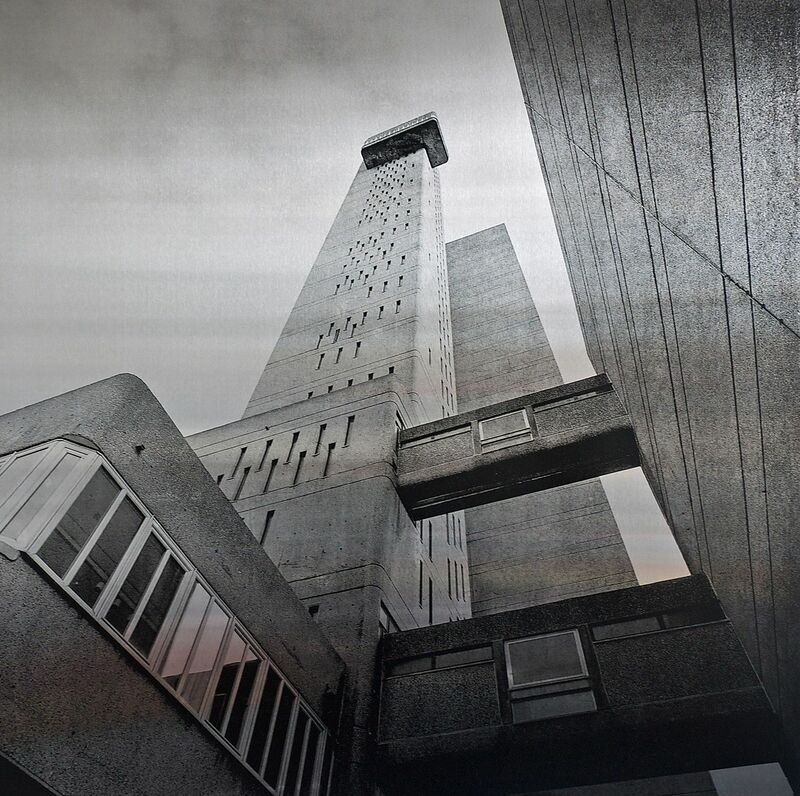 Love these concrete monolithic buildings or hate them the artist and photographer Simon Phipps is ready to challenge all your preconceptions of the Brutalist building in his solo exhibition in London. "ANY PIECE OF ARCHITECTURE WORTH BEING CALLED ARCHITECTURE IS USUALLY BOTH HATED AND LOVED" RODNEY GORDON – ARCHITECT ‘THE TRICORN’, PORTSMOUTH UK. What do you think of when you hear the architectural term ‘Brutalism’? Love these concrete monolithic buildings or hate them the artist and photographer Simon Phipps is ready to challenge all your preconceptions of the Brutalist building in his solo exhibition in London: BÉTON BRUT. Simon Phipps has spent the last 15 years photographing and documenting Brutalist and buildings in the UK, creating a survey of photographic images that demonstrate the breadth of this contentious architectural style. BÉTON BRUT showcases a new series of architectural photographs screen printed in monochrome onto brushed aluminum. Phipps' careful selection of materials for his work captures one of the properties of Brutalism, ‘its not concerned with the material, but the quality of the material, what can that material do?’ The use of a halftone screen and the aluminium moves the photograph away from the representational; it becomes more sculptural within the enhanced materiality of surface and ink. His photography plays with the viewer’s perspective of the buildings; he has an innovative way of looking at these dynamic constructions finding interesting new vistas and perspectives to capture our imagination. A selection of Phipps extensive photographic inventory is also displayed in BÉTON BRUT where the curatorial arrangements highlight typological similarities and differences, revealing an analysis of form and structure. Using the placement of colour to highlight architectural details; stemming from Le Corbusier’s Polychromie Architectural, Phipps has used colour from the buildings he has resolutely documented and faithfully used these colours as an integral part of the exhibition in The Foundry Gallery. BÉTON BRUT is curated by Elizabeth Goode. Simon Phipps is a London based artist whose work focuses on Modernist architecture. Phipps is the photographer for "THE BRUTALIST LONDON MAP" published by Blue Crow Media and supported by The Twentieth Century Society. His book "BRUTAL LONDON" a photographic survey of brutalist architecture within the inner London boroughs will be published in November 2016. Phipps is also currently working on a project with Darren Umney about Netherfield - a modernist rationalist estate in Milton Keynes designed by Dixon, Jones, Cross and Gold. "BETWEEN THE RATIONAL AND THE NATIONAL: NETHERFIELD IN THE NEW SUBURBAN LANDSCAPE" will be exhibited at the Architectural Association and the Milton Keynes Gallery in 2017.